While we were intrigued with Tate Modern 2.1, revealed way back in 2006, the stacked box pyramid we think has since found better expression and program and site in their proposal for the Parisian mega-pyramid of residences, mostly because the Paris project is much larger, and so the box thing turns into a pyramid from far away. It looked too jumbled to be Tate 2.1. 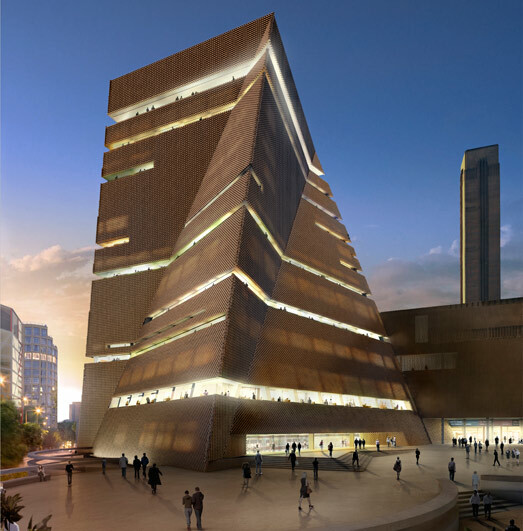 We are much more excited with Tate Modern 2.2, a smoother pyramid that works better with the existing power station and neighborhood, without losing its crazy awesome loudness. Check out their site geometry image at the bottom of this page for how it was generated. It also keeps with today's boulder theme.